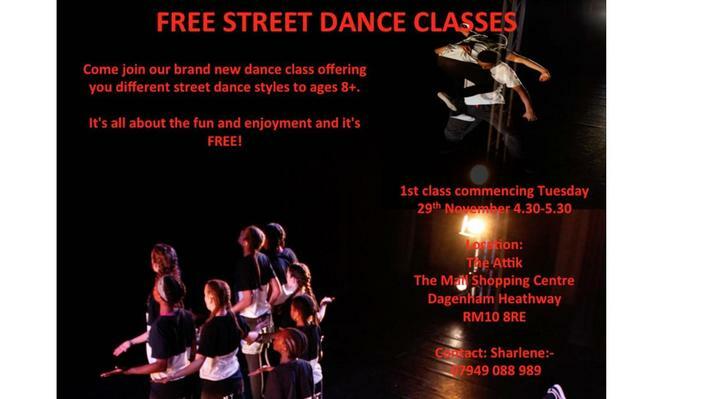 A free street dance class will be starting on Tuesday, 29th November, 4:30-5:30pm for children aged 8+. The classes will be held at the Attik, in the The Mall Shopping Centre at Dagenham Heathway. The classes will be run by the same dance instructor who took the street dance workshops in Lower Key Stage 2 this term; Sharlene Carter. If you are interested in your child attending the classes please contact Sharlene on 07949 088 989.